Thymus Linearis on the bank of River Pushpawati between Govindghat and Ghangaria this picture was clicked in May 2013. 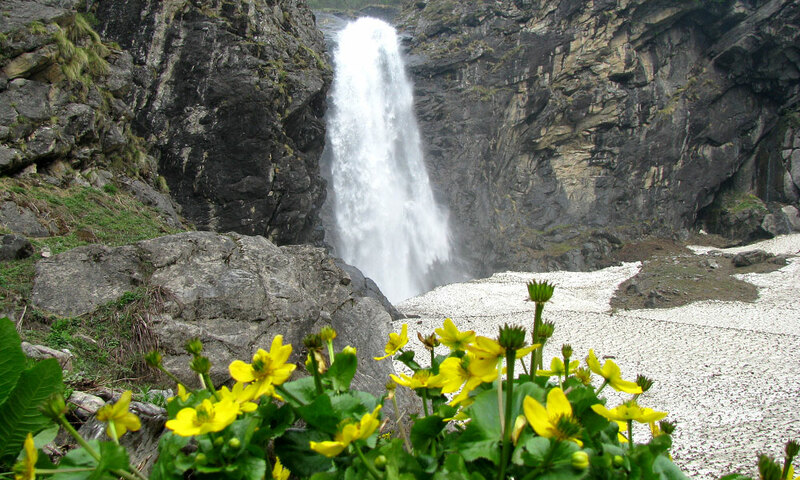 A beautiful waterfall in front of Valley of Flowers entry gate. You can see frozen river in the last week of May. Valle of Flowers as seen in June first week. You can see snow clad peaks and observe grayish shade before monsoon season. In the month of July it will be lush green and full of flowers. 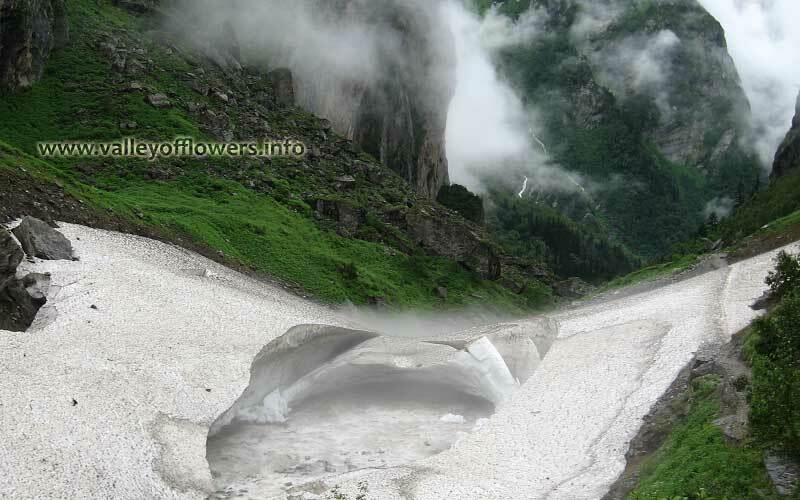 A big Glacier 2 kilometers inside the entry gate of Valley of Flowers. This Glacier is even visible up to August end. You can imagine when flood came in June, 2013 and this huge Glacier melted and washed off everything coming into its way. Another view of beautiful Glacier on the way to Valley of Flowers. Picture taken from Valley of Flowers entry gate. You can see lot of snow and a beautiful waterfall in the background. Ghangaria Village as seen from 300 meters inside the Valley of Flowers entry gate. Beautiful Glacier on the way to Valley of Flowers. This Glacier is 2 kilometers inside the Valley of Flowers. A frozen river 100 meters inside the entry gate of Valley of Flowers. A beautiful scene of Pushpawati River bed. The pink shade is Epilobium Latifolium. This flower is used as antidote to poison. Cypripedium Himalaicum, a very rare flower found in Valley of Flowers. This is available only for a week in the second week of July. 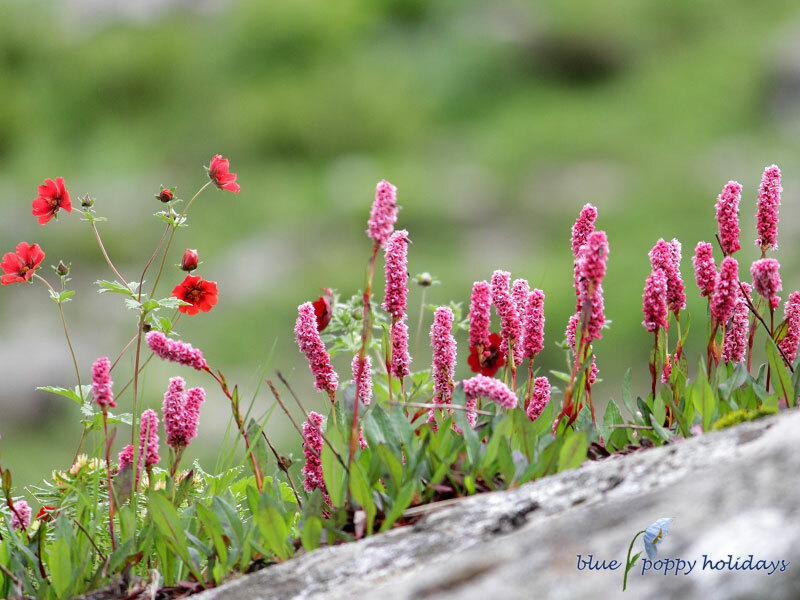 Bistorta Affinis at Pushpawati River bed inside Valley of Flowers. We at Blue Poppy Holidays generally trek 4 kilometers beyond this point. Bistorta Affinis and Epilobium Latifolium at Pushpawati River bed. 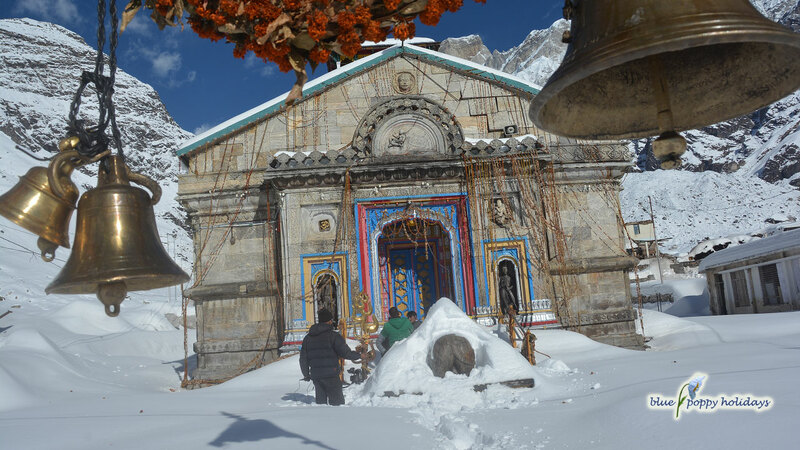 Trek between Govindghat and Ghangaria. Unfortunately this trek is washed off in June, 2013 flood. Now we will trek on the other side of the river. View of Sunset near to Ghangaria while trekking from Govindghat to Ghangaria. The first glimpse of Valley of Flowers peak when you start trekking from Ghangaria to Valley of Flowers. Valley of Flower peaks as seen in the month of June. A frozen river and village Ghangaria in the month of June. The frozen river and Betula Utilis. Beautiful waterfall near the entry gate of Valley of Flowers. Valley of Flowers peaks as seen while coming back from Hemkund Sahib. Valley of Flowers as seen on the way to Hemkund Sahib. 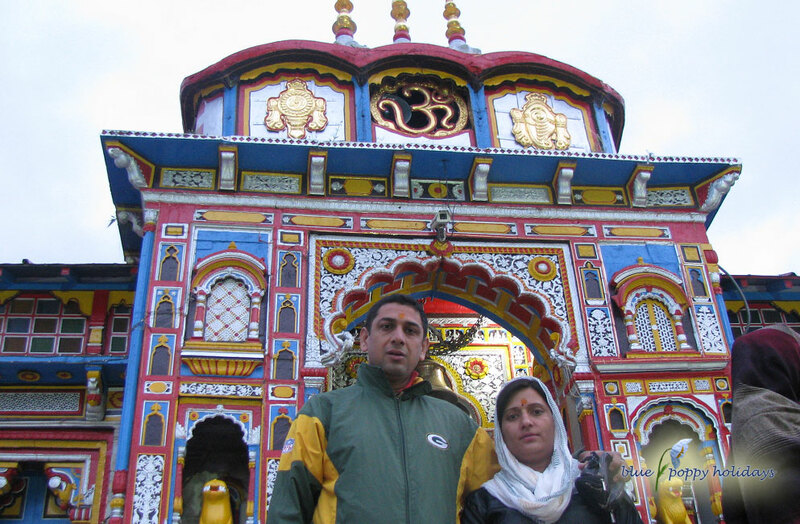 Way to Hemkund Sahib in first week of June. 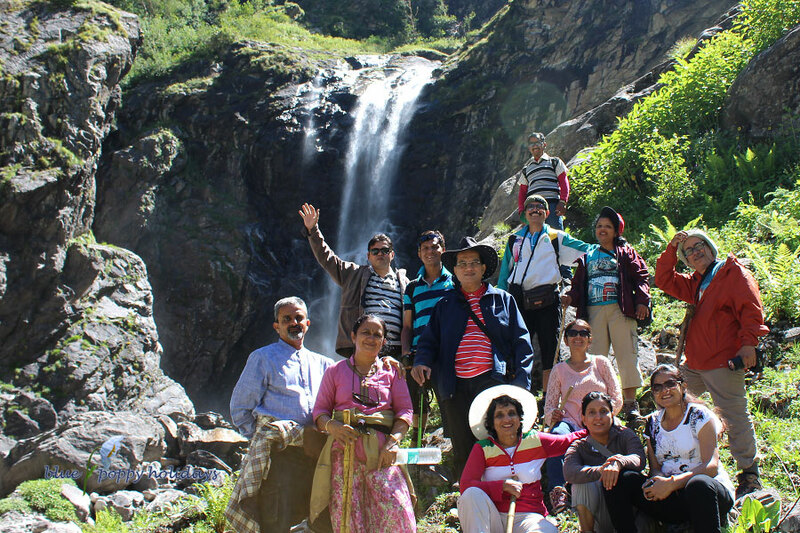 Trekking to Hemkund Sahib in first week of June. 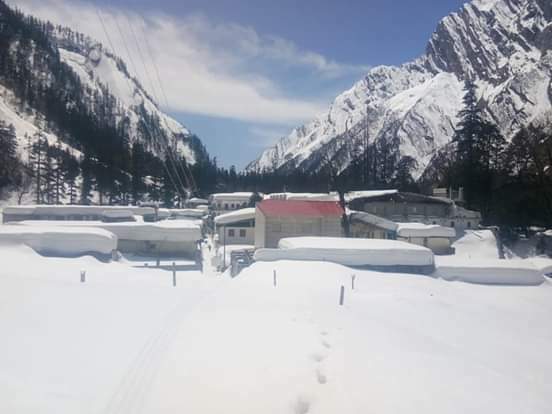 10 to 12 feet snow on our trek to Hemkund Sahib in first week of June. Valley and village Ghangaria seen from trek to Hemkund Sahib. Hemkund Sahib Lake in June first week. Pushpawati River bed from the other side. The pink shade in the river bed is due to Epilobium Latifolium. This flowers is also called river beauty as it is found generally near the river bed and streams. Epilobium Latifolium at Pushpawati River bed. Epilobium Latifolium and Pedicularis Bicornuta at Pushpawati River bed. Deep inside the Valley of Flowers. Epilobium Latifolium deep inside the Valley of Flowers. Pedicularis Puncata at Hemkund Sahib. Me and my wife on the way to Ghangaria from Govindghat, unfortunately this point is washed off by flood in June, 2013 in the background you can see a snow clad peak, it is Hathi Parvat. A very beautiful view deep inside the Valley of Flowers. A very beautiful view of Valley of Flowers in the month of July. absolutely class trek, what a location . what a nature . i love Himalaya. nature always beautiful.